SJBA got off to a good start for the year 2013 with a big bang literally, with a colourful display of fireworks right after midnight on the eve of the New Year. The mood was joyful and cheerful. Just hours earlier, our members and devotees have received the blessings from the Sangha, sang Buddhist hymns and joined in a happy fellowship supper with a number of volunteers on stage in a charity karaoke that raised more than RM3,000 for the Persatuan Kebajikan Kanak-kanak Kurang Upaya. In response to an appeal from Ven. Saranankara Nayaka Maha Thera, Chief Monk of Sri Lanka Buddhist Temple, Sentul to provide humanitarian aid to the thousands of flood victims (265,00 people affected and 42 people died), SJBA promptly responded on 3rd January. 2013 by donating biscuits, sardine, dry beans, maggi mee, milo, milk and school items worth RM8,000. It is hope that our contributions can help bring some relief to those suffering ones. On 10th January 2013, 10am, many SJBA members turned up to welcome the Menteri Besar of Selangor, Tan Sri Khalid Ibrahim, to officiate the opening ceremony of the RM1.3 million overhead pedestrian bridge in front of SJBA. The bridge will help relieve the traffic and parking problems that SJBA has been experiencing for so many years. Hopefully, no one will be knocked down again while trying to cross the busy Persiaran Kewajipan to our Vihara. We thank the Menteri Besar as well as our State Assemblyman, YB Hannah Yeoh whose selfless and tireless effort to push for the building of this bridge finally made it a reality. On 13th January 2013, Sayadaw U Rewata helped launch the new SJBA website which is a total face lift of the old website. The new SJBA website has many current features including social media, and has the latest SJBA news, announcements, notices, forthcoming activities, Dhamma sharing, etc. Do visit our website at http//www.sjba.org to get the latest updates. 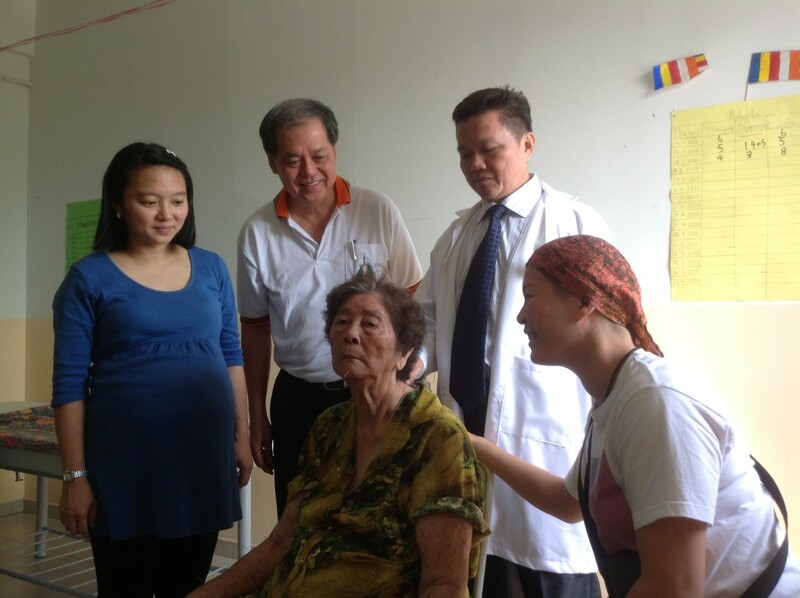 On 26th January 2013, the Traditional Chinese Treatment (TCM) Service was officially opened by YB Hannah Yeoh. 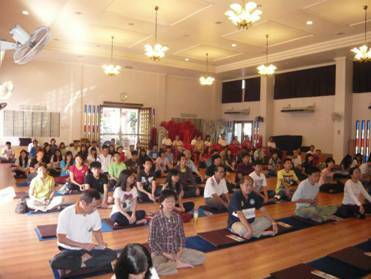 TCM is another SJBA’s community service for its members and devotees. 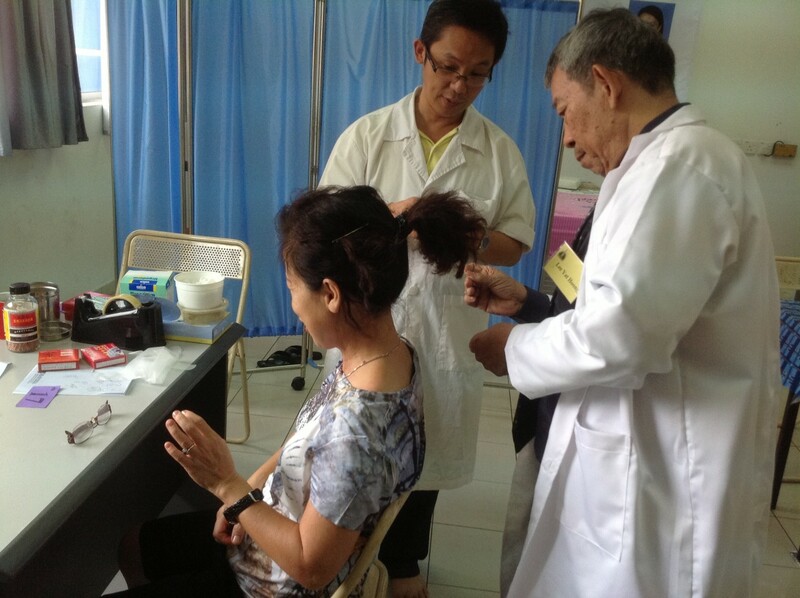 SJBA has arranged 2 experienced Chinese Physicians qualified in Traditional Chinese Medicine Treatment to give treatment to those with certain sicknesses and bodily ache/pain, every Saturday, 9am to 12pm, at SJBA since October 2012. Chinese New Year Celebration are just days away. This year, Chinese New Year falls on 10th February. We look forward to celebrate this joyous occasion with you at SJBA’s “Gong Xi, Gong Xi” Potluck dinner on 23rd February 2013. Please come with your family, relatives and friends to enjoy the various program planned for the night, together with some visitors from the Old Folks Homes. You may do some dana by giving angpows to the old folks from the Old Folks Homes who will be invited by SJBA to watch the various performances. On the next day, 24th February 2013, our Sunday Dhamma School children, Youth Section and Teen Quest members will be making house calls to bring auspicious New Year greetings and songs, Buddhist hymns and good wishes to the hosts and family. Those who wish to invite them to your homes on may book through Sis. Lily at Tel. 03-56348181. Through these and other activities, we hope to foster better fellowship and closer friendship amongst our devotees in line with our Vision of “SJBA – A Friendly and Caring Dhamma Centre”. Let us bring to fruition this Vision together. May all the good deeds of yours bring you good health, happiness and success in our life as you continue to walk the Noble Eight Path until you achieve your highest spiritual goal. May 2013 be a better year for all of us. Do you want to receive regular e-mails and sms on the latest SJBA’s activities and news? Have your Ordinary Membership been renewed? Please check your membership status at SJBA office. To assist SJBA to reduce administrative work, we appeal to all Ordinary Members to convert their Ordinary Membership to Life Membership (RM100). SJBA is planning a Puja Session conducted in Mandarin (and occasionally in common Chinese dialects) beginning 10th March 2013, 11.30am to 12.30pm at SJBA Shrine Hall. Please inform and invite your Chinese speaking relatives and friends. The gift of the Dhamma is the highest gift so give this gift of Dhamma to your relatives and friends. If you have old people who need transport to and back from SJBA, please call Sis Lily or Sis Cindy at 03-56348181. 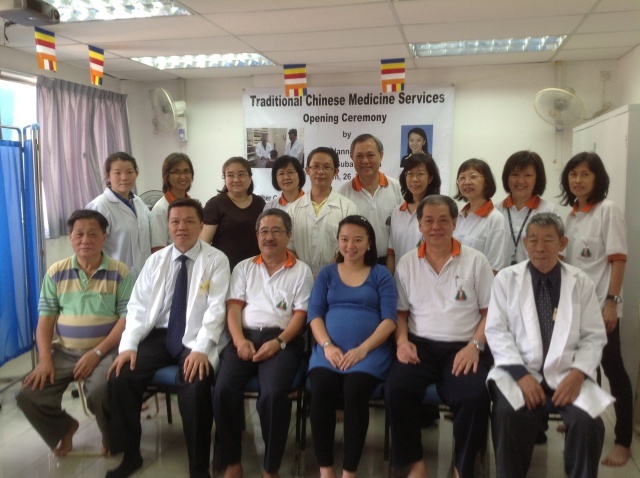 As another community service for its members and devotees, Subang Jaya Buddhist Association (SJBA) has arranged 2 experienced Chinese Physicians qualified in Traditional Chinese Medicine Treatment to give treatment to those with certain sicknesses and bodily ache/pain, every Saturday, 9am to 12pm, at SJBA. For more information, please call Bro Chong Yuen Fong at h/p: 012-2677473. Gong Xi, Gong Xi Potluck Dinner We wish to invite all members and devotees and your relatives and friends to join us at our “Gong Xi, Gong Xi” Potluck dinner to celebrate the Chinese New Year together and promote fellowship as we enjoy the various program planned for the night together from some guests from the Old Folks Homes. Chinese New Year Choir Our Sunday Dhamma School children, Youth Section and Teen Quest members will be making house calls to bring auspicious New Year greetings and songs, Buddhist hymns and good wishes to the hosts and family. Those who wish to invite them to your homes on 24th February 2013, may book through Sis. Lily at Tel. 03-56348181. 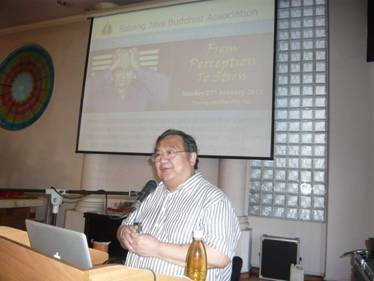 Introduction To Buddhism Course SJBA will be organizing the Introduction to Buddhism course from 1 March to 19 April 2013. The course will run for 8 consecutive Fridays from 8.30pm to 10.00pm and will be conducted by Uncle Vijaya, Bro Charlie Chia and Dr Chan Kah Yein. All are welcome. No pre-registration is required. Please contact Sis Lily at 03-56348181 for further details. Please give this gift of the Dhamma to your relatives and friends by inviting them to attend this course. The gift of the Dhamma is the highest gift. Qing Ming Pattidana In conjunction with Qing Ming, SJBA is organising a Pattidana to dedicate merits to the departed ones. Pattidana is for the benefit of those departed relatives and friends who may have been reborn in certain unfortunate state of existence. When they are aware that their relatives or friends have performed some meritorious deeds dedicated to them, they can be relieved of their suffering. When they rejoice repeatedly, their unhappy birth will be transformed to a happy one. It is the duty of relatives to perform these acts of merits for the departed ones. The Pattidana will start with the offering of flowers and lights at 8am, Metta Recitation, Buddha Puja, Dhamma Talk by Bhante Nyanaramsi, Dedication of Merits to Departed Ones. SJBA TCM Team of Practitioners and Volunteer Helpers with YB Hannah Yeoh after the opening ceremony. — with Khoo James, Mupemi Slim, Peter Chew, lim chye hong, Hannah Yeoh, Chim Siew Choon, SweeAun Ng, MeeFong Lee, Ooi Chwee Hoon, Cindy Sim and GKew Cheah Lam. Persiaran Kewajipan SS14 together with temple representatives. SUBANG JAYA: A four-year-long wait for the construction of a pedestrian bridge along Persiaran Kewajipan SS14 is finally over and residents can now cross over the busy road safely. “People can now cross over safely especially the little children from SS15 low-cost flats, they can now use the bridge to get to their school on the other side of the road,” said Subang Jaya assemblyperson Hannah Yeoh. She explained that this bridge will help deter residents running across the busy Persiaran Kewajipan, at the Summit interchange. Yeoh also pointed out that the bridge will fully benefit members of the Subang Jaya Buddhist Association, Sri Varatharajah Perumal Hindu Temple and the Persatuan Sikh Subang during festivals and other occasions. “There is limited parking space here and it’s always jammed up. So now the members and other people can park their cars across the road and use the bridge,” she said. Also present was Public Works Department (PWD) Selangor head Abdullah Abdul Rahman and Menteri Besar Tan Sri Khalid Ibrahim who launched the bridge and said only RM1.3 million was spent for this project through the open tender process. “This will not be possible without the open tender as in the past some pedestrian bridges cost RM3 million… we can build two already with that money,” he said. Khalid hopes this value-for-money project will be a model that other future projects can follow and urged PWD to ensure the bridge is well maintained. Due to the recent heavy floods in central, north central and eastern Sri Lanka, at least 42 people have been killed and 265,000 have been affected by the floods. The floods have inundated a number of large towns and rural areas, forcing hospitals to evacuate patients and roads to close after landslides. Hundreds of thousands of acres of agricultural land have also been affected. In response to the appeal from the Ven Saranankara Nayaka Maha Thera, Chief Monk of Sri Lanka Buddhist Temple, Sentul, SJBA promptly responded by donating biscuits, sardine, dry beans, mee hoon, maggi mee, milo, milk and school items like shoes, stationeries, etc. worth about RM8,000.00. We wish our contributions can help to bring relief to those suffering flood victims. May they be well & happy!